In a strategic bid to accelerate Philippine social commerce growth in a thriving ecosystem, Carousell, one of the world’s largest and fastest growing classifieds marketplaces, has recently launched its major team-up with Xend, the country’s top e-commerce logistics firm. Jamie Lee, Carousell’s Senior Manager for Growth Markets pointed out that the partnership deal allows the platform – now with 158 million listings across 7 markets – to enrich the experience of its Philippine-based users and better engage them through a strong logistics partner of choice. “We are excited to work with Xend to make buying and selling more convenient. Shipping has been one of the most requested features from our users in the Philippines and Xend provides a unique, cost-friendly logistics solution for our users. With this strategic partnership, we hope to create more value for our community and deepen our presence in the Philippines,” Lee explained. Xend Founder & CEO Bjorn Pardo meanwhile said that they are thrilled to forge this partnership as it allows both players to step-up their game in the e-commerce space at scale. “The Philippine e-commerce landscape has fundamentally evolved. Sellers and shoppers are now more discerning and adoptive of coherent, frictionless experiences. This collaboration enables us to consolidate the mobile commerce segment and mobilize each others’ resources towards more customer-centric solutions,” said Pardo. 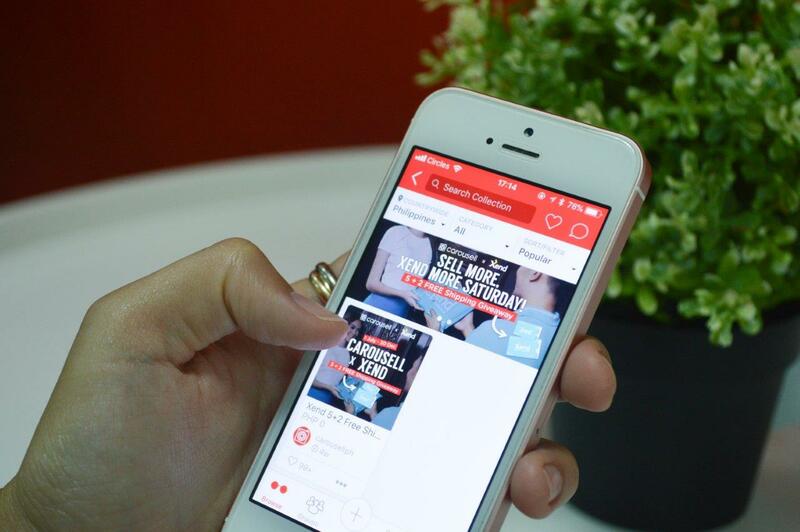 The deal will jointly offer preferential privileges to Carousell users who use Xend to have their sold items delivered, as well as mount co-branded promotions in each other’s channels, both online and offline. With over 9.5 million listings on the Philippines marketplace, fashion and beauty remain as the most popular categories among its users in the Philippines. Xend, on its part, has already breached the 25 million mark for deliveries locally and abroad, and is known for its close to 500,000 user-base, Asia Pacific’s first Facebook Messenger booking bot, and a 6,000-strong integrated land and sea logistics network with PhilTranco, FastCat, Jam Liner, Ceres, and Quick Reliable. “It’s all about unlocking localized synergies and generating incremental value. As a next-tier innovation, Xend and Carousell will be collaborating to offer district-oriented meet-up points that leverages the Xend Group’s “pick-up and drop-off” (PUDO) hubs of 350 Neighborhood Partner outlets and possibly the stores too of 7-Eleven, one of our formidable strategic partners,” said JT Solis, Xend’s Vice President for Partnerships & Business Development, who also led the negotiation and structuring of the deal.